Avocat à la Cour, Bertrand Lacombe founded Lacombe Avocats. Bertrand graduated from ESSEC Business School (MBA), the University of Paris II Panthéon-Assas (DESS en Droit des Affaires et Fiscalité), and from the Institute of Political Studies of Toulouse (Master’s degree). He worked as a lawyer within the law firms Arsene Taxand (2007-2009) and Freshfields Bruckhaus Deringer (2010-2013). His legal, financial and economic education allows him to have a global and integrated approach of the legal and tax issues his clients are facing. While working within top-tier international law firms, he had the opportunity to advise on a regular basis major French and foreign clients, including public companies, banks and private equity firms, on all French and international tax issues and also to assist them in tax audits and disputes. Bertrand publishes regularly on issues in French and international taxation for various reviews specialised in this area of law (such as the Revue de Droit Fiscal, the Feuillet Rapide Francis Lefebvre, or the Journal of Taxation of Financial Products, as well as economic newspapers. Bertrand has been teaching corporate law at the University of Paris II Panthéon-Assas and corporate finance at ESSEC Business School. He was also part of the teaching team in international taxation at HEC Business School. He is now teaching tax law at master’s degree level, notably within the Master BFA (University of Paris X) and the diplôme de juriste conseil d’entreprises (DJCE) (University Toulouse Capitole). 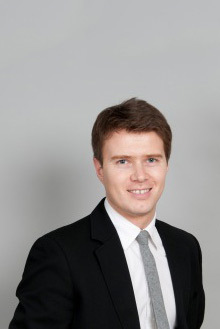 Bertrand Lacombe is a member of the IFA (International Fiscal Association), Essec Alumni et and IACF (Institute of tax lawyers; institut des avocats conseils fiscaux). Bertrand speaks French and English fluently. Bertrand Lacombe is one of the tax experts recognised for their valuable practice of M&A transactions and tax litigation and is recommended in wealth taxation in the Leaders League rankings.